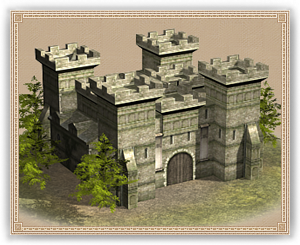 The Templars’ Headquarters is the home to arguably the most powerful knightly orders within all of Christendom. Though the order’s path to greatness was forged in acts of benevolence, it is now almost a commercial organisation, with an incredibly dedicated and powerful armed force to ensure its legitimacy is not questioned too strongly. In some respects, this building is the palace of one of Europe’s powers.